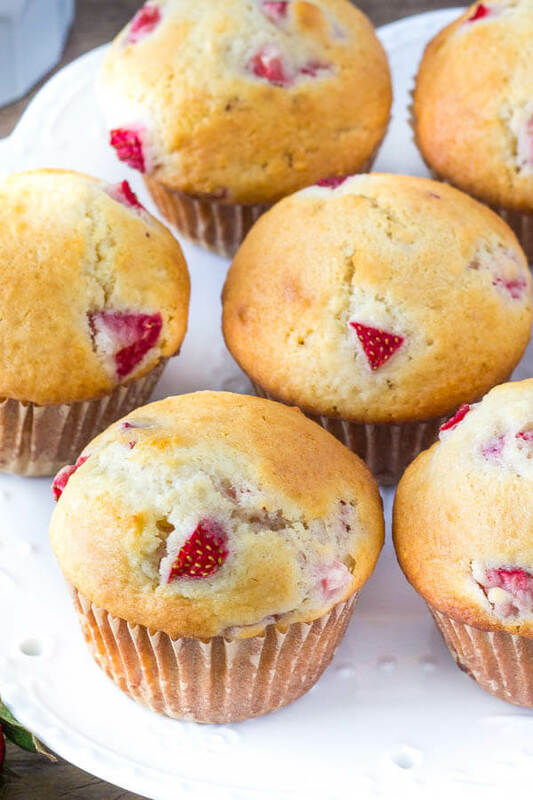 These soft, buttery strawberry muffins have perfectly golden tops and are bursting with strawberries. 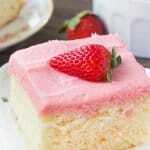 They can be made with fresh or frozen strawberries and are perfect for breakfast or brunch. 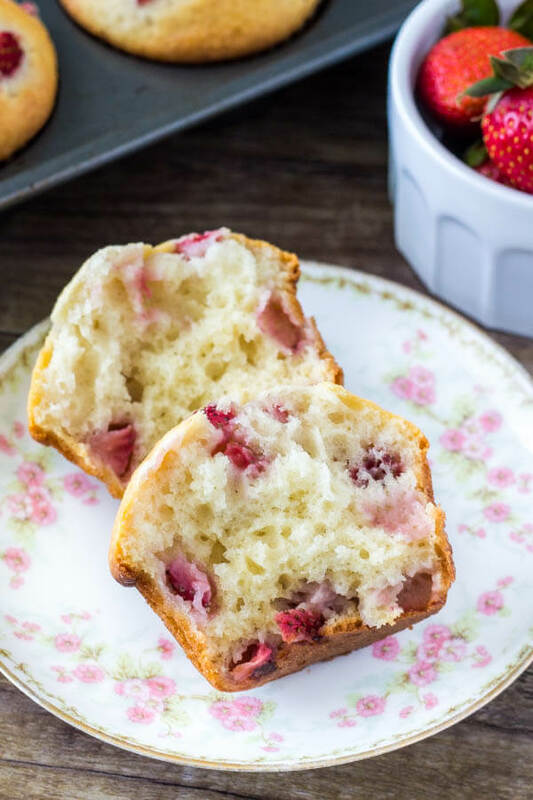 And as much as I love blueberry muffins – these strawberry muffins just might take the cake (er… muffin) for the perfect summer muffin recipe. Although I’ll happily eat them any time of year. 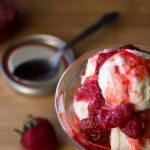 One question I always get asked is if you can use frozen berries? I prefer fresh berries when they’re in season. However for frozen berries, make sure not to thaw them first. Then chop them into small pieces and toss with 2 tsp of flour to help prevent the color bleeding. 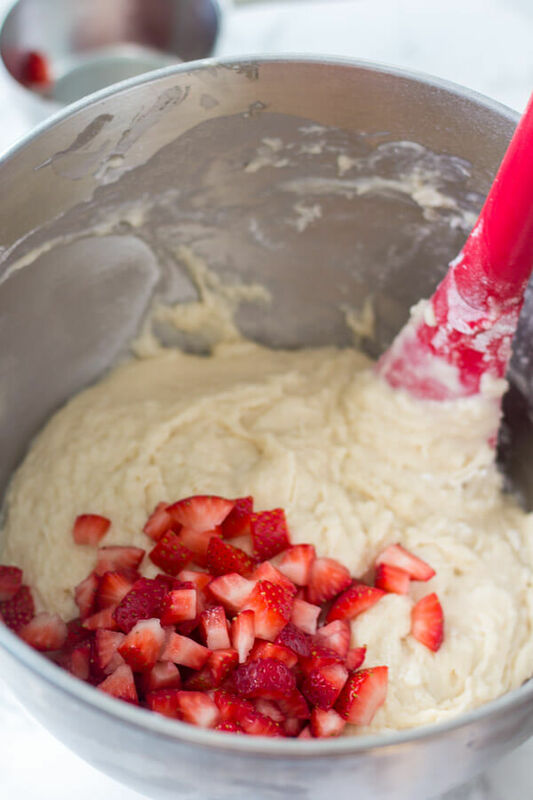 Don’t over mix the batter. 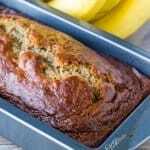 Gently fold in the dry ingredients using a wooden spoon or rubber spatula. Mixing the batter too much causes the crumb to be tough. Bake at 375F degrees. This helps the muffins rise nicely and have a beautiful golden color without burning. 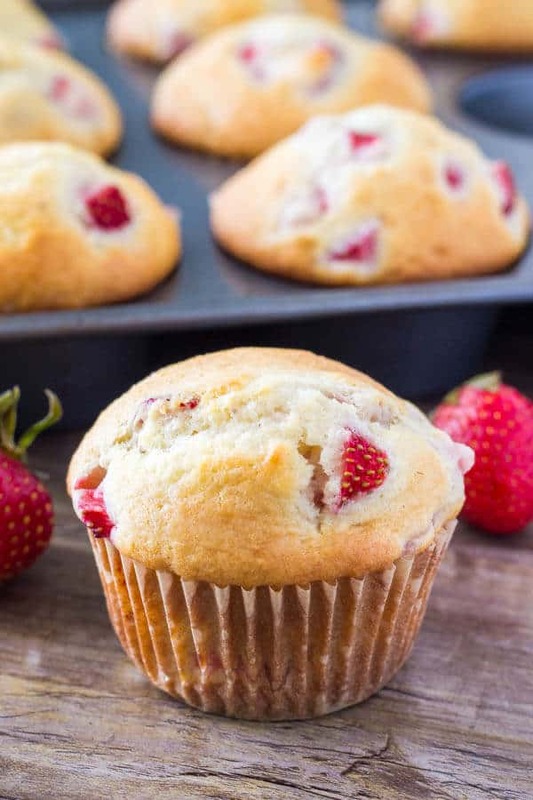 These strawberry muffins are moist, fluffy, buttery and filled with juicy strawberries. 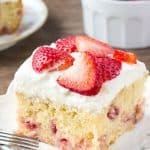 It’s an easy muffin recipe that’s perfect for breakfast, brunch or a mid-morning snack – and the perfect way to celebrate strawberry season. Beat in the eggs, vanilla and almond extract. Turn off the mixer and stir in the sour cream. Gently fold in the flour mixture, followed by the milk. Once almost combined (lumps are ok), gently fold in the chopped berries. Spoon into the muffin pan filling each to the very top (you'll end up with about 12-14 muffins total). 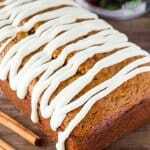 Bake in the middle rack of the preheated oven for 17-20 minutes or until the tops are golden and an inserted toothpick comes out clean. Muffins are best eaten fresh. Store leftovers in an airtight container at room temperature for up to 2-3 days, or in the fridge for up to 1 week. 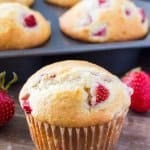 Muffins can be frozen for up to 2 months and thaw in the fridge overnight. I love a good muffin! 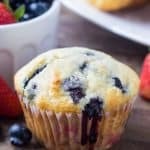 My go to is blueberry but I definitely need to try these!